Christine McMahon is the Club Secretary and point of contact for the performers. Christine has an international reputation, having appeared all around the UK and Ireland as well as Australia, New Zealand, Singapore, Costa Rica and Canada. Rod Dimbleby is the club Treasurer and started storytelling in 2001 . He has been a member at the club since 2002. As well as having a wide repertoire of traditional stories from all over the world, he specializes in Yorkshire dialect stories when telling to older groups. Rod is in great demand throughout West Yorkshire. He has told at nearly 300 venues in Calderdale, Kirklees, Bradford and Leeds including primary schools, secondary schools, museums, libraries, Probus Clubs, Retired Men’s Forums, Womens’ Institutes, Mothers’ Unions and numerous other clubs and institutions, telling stories, talking about the storytelling scene and thus constantly bringing storytelling to new audiences. 'Tristan Langlois very confused. Half-French, half-Londoner, the blood of Bretons and Bristolians courses in his veins; and his in-laws hail from Hawaii, the Mayflower and Filey. Ironically, he has specialised in storytelling in heritage for over twenty years, working with English Heritage, the National Trust, Historic Royal Palaces, and other historic sites, museums and galleries. He is none the wiser about his own cultural identity, but is still enjoying the journey. His sets are a magpie collection drawn from all over the world, but all stories that make him want to sit down and weep, or get up and dance. His style is irreverent and respectful, provocative and poignant, and always involves his audience as much as they dare. Everyone is a storyteller, whether you realise it or not. 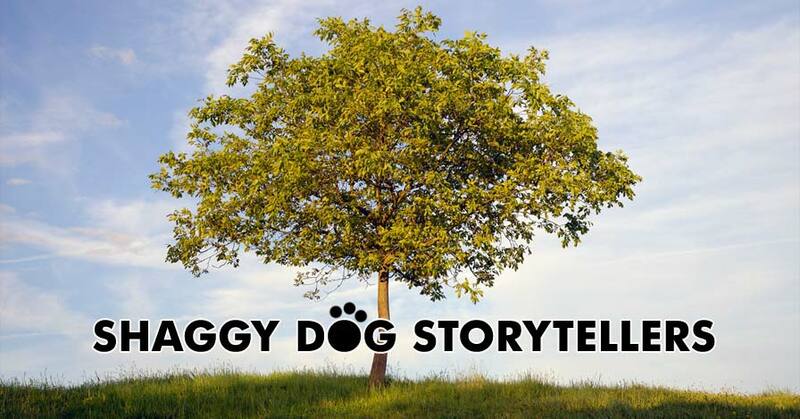 Shaggy Dog Storytellers exist to encourage and support anyone interested in this ancient art form. Come along to the Stubbing Wharf on the last Friday of every month. It could be your opportunity to perform on stage as part of "Tales from the Wharf". 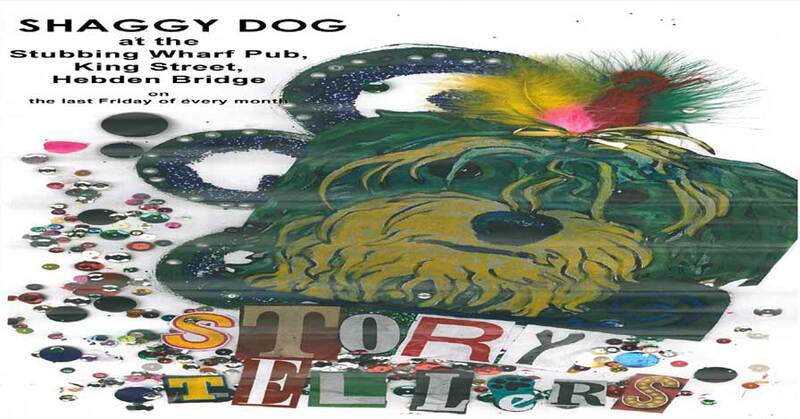 The storytellers listed here are just some of the regulars at the Shaggy Dog Storytellers. Thinking of telling a story at a Club night? Here is some guidance to help you plan your storytelling. A Paperback edition on "HIPPY VALLEY" by George Murphy is due for publication by Fantastic Books around Christmas 2018. It will include lots of new material including Cautionary Tales, inspired by Hillaire Belloc. Now available as an ebook from Amazon at £2. 99 and on Kindle at £2.95, Hippy Valley is a collection of George's monologues and songs put together by Pennine Pens. See Hebweb books for details. Ursula Holden Gill iscurrently our publicist. She deals with promoting the work of our visiting storytellers and other related events on social media and throughout Calderdale and Kirklees. Richard Hemingway is jack of all trades at the club. 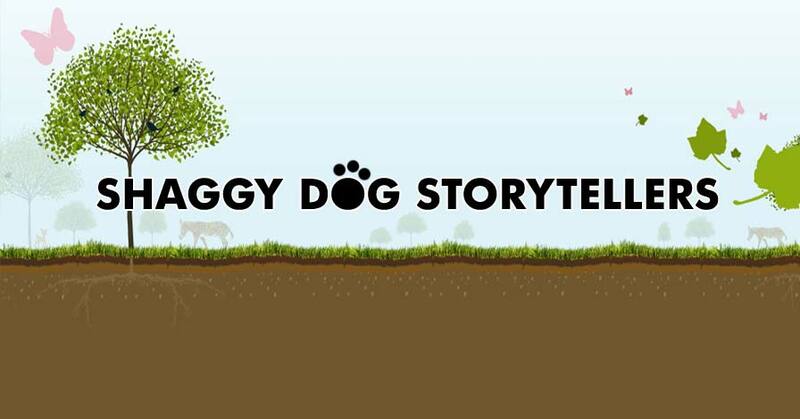 Telling the odd story, doing a bit of odd emceeing and now, following an odd turn of events, Richard is the Chairman of the Shaggy Dog Storytellers. will be answered by Richard.